This week marks the tenth anniversary of the 9/11 attacks. 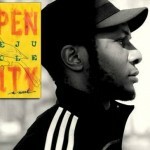 Teju Cole’s celebrated novel OPEN CITY takes place in a New York City marked by the events of that day in 2001. Its narrator and protagonist, Julius, is a young Nigerian-German immigrant, doing his residency as a psychiatrist at a New York City hospital. The quintessential observer, Julius takes the reader on a flaneur’s journey through the city, one that is transformed through the eyes of its beholder into a place both more wonderful and more strange. But as the novel deepens, the reader is slowly drawn into the life of the narrator himself, a life that has a mystery at its center, rooted in Julius’ past. The interplay between outsider and insider, between trauma and consequence, and human connections acknowledged and denied are explored in this powerful and evocative novel, Open City. Teju Cole was born in the U.S. to Nigerian parents and grew up in Lagos; he now lives in Brooklyn. In addition to being a wonderful writer, he’s a photographer and a historian of early Netherlandish art, with an emphasis in Breughel. Listen to a WEB ONLY EXCERPT of Cole talking about his perspective on photography and art. Before Al Qaeda’s jets crashed into the twin towers in the real world, millions of players of the software game Flight Simulator had crashed their fantasy jets into the same towers for years. Before that, King Kong threatened the Empire State Building. New York has been destroyed by flood, a sudden ice age, aliens from other planets, anarchists and immigrants and nuclear war — all in the imagination of American writers, filmmakers, and artists. What is it about the New York that excites such fantasies of destruction? Max Page explores that question in THE CITY’S END: Two Centuries of Fantasies, Fears, and Premonitions of New York’s Destruction. 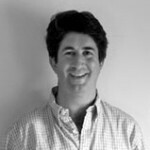 Page teaches history and architecture at the University of Massachusetts-Amherst.